His talents show that Africans can be anything they want to be. There’s a poignant picture in the collected images in Arthur Mutambara’s newly published book about his life. It shows four skinny poor kids, dressed in mismatched clothing, outside the weathered door of a small house in a Zimbabwe rural village. The date is 1973, the country is still seven years away from being called Zimbabwe and it is just before a brutal civil war (to protect white privilege) ravages the country. It’s a place called Rhodesia and, for children growing up in a “tribal trust land” where the apartheid-style laws had dumped Africans, future prospects must have seemed bleak at best. The caption identifies the four as Audrey, Tsitsi and Rosemary Mutambara, posing with their brother Arthur, then aged 6. The caption identifies them now as Dr Audrey Mutambara, Dr Tsisti Mutambara and Dr Rosemary Mutambara. The brother, Arthur, is an even higher achiever, a Professor at the Massachusetts Institute of Technology; holder of a Doctorate in Robotics and Mechatronics, Research Scientist with Nasa and then deputy prime minister of Zimbabwe. The faded photograph is worth more than the proverbial thousand words, because it tells the story of a thirst for education, of determination to climb out of the ditch of poverty dug for Africans by colonialism – and of sheer talent … a talent which shows Africans can be anything they want to be. That picture encapsulates the essence of the book, which is that talent and hard work can change lives and, once those lives have been changed, they can go on to change the lives of their countries, their continent and even the world. Today, Arthur Mutambara calls Johannesburg his temporary home. But, he says, the message of his life should be timeless. His stardom came via an Engineering degree from the University of Zimbabwe, which led to him going to Oxford University on a Rhodes Scholarship and then later on to lecture at the Massachusetts Institute of Technology and to work for Nasa. But his life has taken various twists and turns, and no more so than in his political development. As a student at Hartzell High School, he had what he now says was a “naive, uncritical and romantic” view of Zimbabwe’s national liberation struggle, writing an essay lauding the exploits of guerrillas in the war, which won a national prize. Three years later, he wrote an article in which his fervour for Marxist-Leninism showed and he praised not only Robert Mugabe’s Zanu(PF) but also attacked the concept of a multi-party democracy as being a “Western concept”. Later, though, at the University of Zimbabwe, he became an activist for improved living conditions for students and then became highly critical of the Mugabe regime. But, he says (in words which have resonance in present-day South Africa), his time at university led him to “realise the struggle was increasingly being betrayed and forgotten by those in the ruling party who were hell-bent on enriching themselves at the expense of their fellow citizens”. It was not long before he fell foul of Mugabe, being detained in a brutal police raid on the university residence, in which he was badly injured, and then locked up for six weeks. By that time, he recalls, “we had severed ties with Mugabe and Zanu(PF) and the divorce was final.” Yet even after more than a decade abroad, he felt compelled to return home to, as he puts it, “make my contribution”. Doing something was taking part in the short-lived Government of National Unity in the early 2000s, when the opposition under Morgan Tsvangirai agreed to work with Mugabe in the interests of the country. It didn’t stop Mugabe from stealing elections or subverting the whole process, which led to the collapse of the experiment. 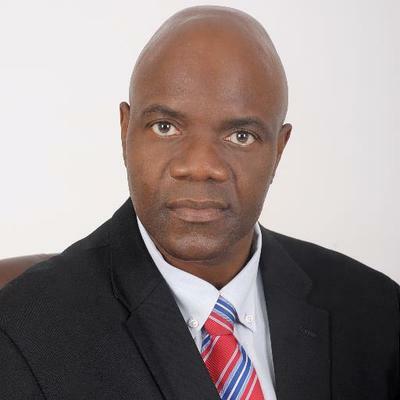 Even now, with Zimbabwe’s economy in tatters, Mutambara has hope for the future, not only of his country, but for the whole of the continent. To those who say South Africa is in danger of going the way of its northern neighbour, he remarks that South Africa’s institutions – such as its judiciary – are much stronger than their counterparts in Zimbabwe and that, at least in this country, “you have changed your presidents”. Another lesson from his country, he says, concerns radical economic transformation which, along with a “land revolution”, is “a good idea for South Africa”. But, he adds, “If you are not careful, a few people – an elite – will use those slogans to empower themselves.” That, he says, is the “tragedy of what happened in Zimbabwe”. Mutambara believes, though, that the “nation states imposed on Africa by the colonialists” have had their day. Like those skinny kids in a poor village all those years ago, this continent has the potential for greatness. And, says Mutambara, it is none but ourselves who can realise that potential. Mutambara’s book, In Search of the Elusive Zimbabwean Dream, is on sale now.